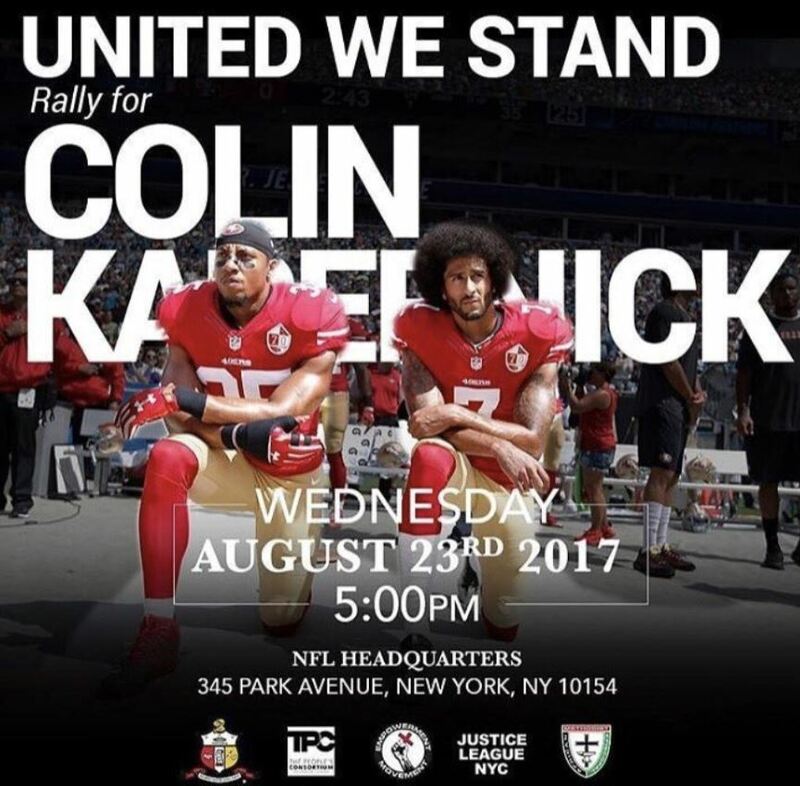 Spike Lee posted this event on his social network page for Colin Kaepernick. The free agent quarterback has not been signed to any NFL teams and owners claim it has nothing to do with his freedom of speech movement last season kneeling down during the national anthem. Other quarterbacks, with lower QB ratings, have been signed over Kaepernick. Even though he is unemployed, he continues to donate money to the poverty, black communities and overseas to the unfortunate. Trump Says He Disagrees With Nike’s Kaepernick Campaign But It’s Ok, They Have Their Freedom Right; Contradicting Much?